Another masterpiece of a title there. 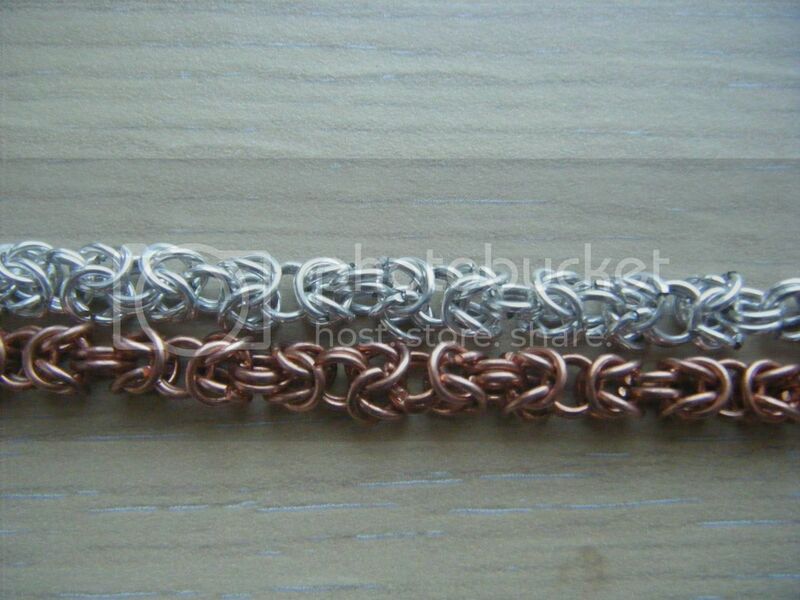 I don't know if you remember I went to a class to learn to do chain maille recently? 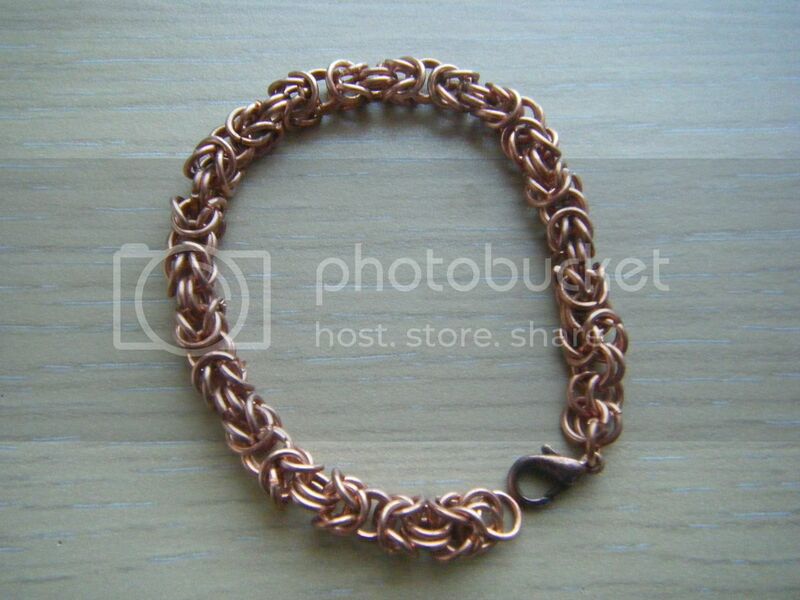 We learnt the Byzantine weave and I made a silver bracelet. I bought some more 1mm wire after the Josephine Knot class the other week and got to work. I bought some copper wire and used my gizmo to make the coils before snipping them apart to make the jump rings. SO much quicker than the jump ring maker we used in class. I'd also bought some brass wire and started making jump rings with that first, but I didn't check I was using the right mandrel and they turned out too big. I didn't have enough brass wire to start again, so I need to find a weave with 5.5mm ID jump rings! I've been wearing the copper and silver bracelets together and I love them. I'd have loved a brass one too! 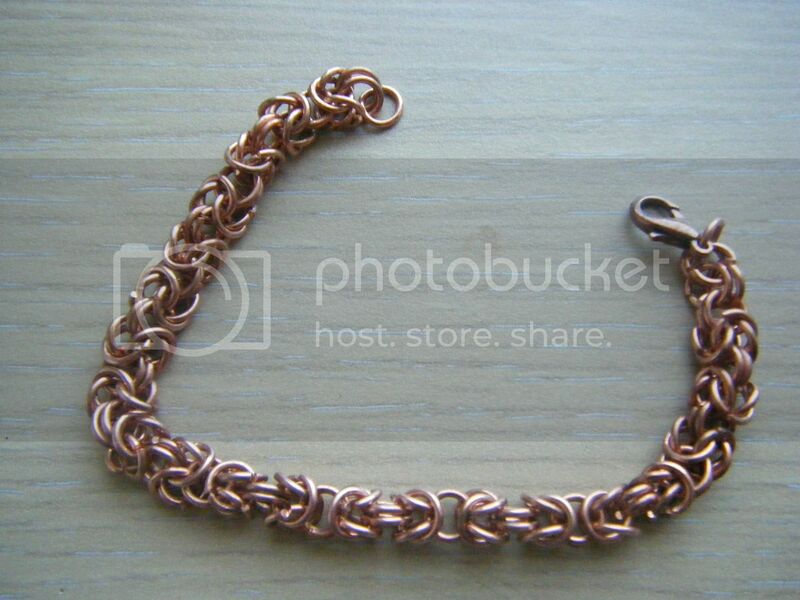 I've ordered some wire from ebay, and I also bought a new book - Classic Chain Mail Jewelry. Now I can't wait for my wire to turn up so I can tryout some new weaves! Même si ce n'est pas du Dior ! Beautiful! I bet you get lots of compliments on them too! they are really very cool, theyt look great together and they look really tactile too. These look amazing! Well done! Does the copper one make your arm go green? They look great. Saw how you sneaked in that comment about buying another new craft book! It's number what on the list? ?